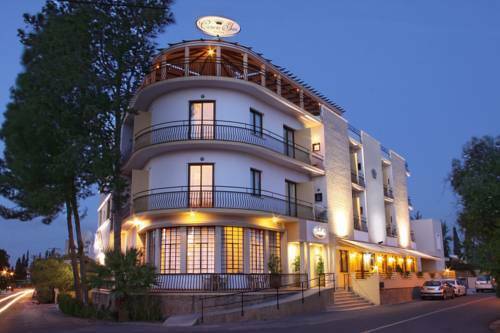 Crown Inn Hotel Nicosia, Hotel Cyprus. Limited Time Offer! Crown Inn Hotel. "Crown Inn Hotel" has acquired 2 stars. The residence is located in Nicosia. "Crown Inn Hotel" can be characterised by its homely ambiance. The building has been renovated recently. For those who absolutely need to keep an eye on their work, there is free of charge Internet access available. The Averof Hotel is perfectly located for both business and leisure guests to Nicosia.All hotel's guestrooms have all the conveniences expected in a hotel in its class to suit guests' utmost comforts.